Snorkeling in Maldives is one of the most favorite and simplest excursion you could do. You don’t have to be a diver or be enthusiastic about diving, but you could snorkel to enjoy the wonderful underwater life by simply wearing a mask and fins. 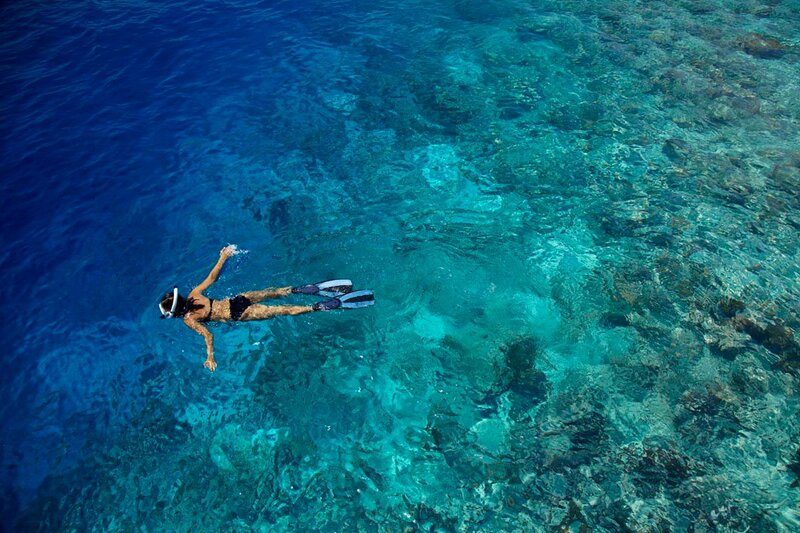 Surrounded by one of the most exhilarating house reefs in Maldives, Dharavandhoo offers snorkeling like no other. Discover the amazing sight beneath the surface just few minutes from the comfort of your rooms. If you want to see some of the best snorkeling sites in the Biosphere Reserve, we can arrange a snorkeling trip to these sites. Swim with the wide array of beautifully colored fish, explore different types of corals, witness some of the rare species (only found in Biosphere Reserve) and take a picture underwater as turtles slowly swims by. The following are some of the best snorkeling sites in the Biosphere Reserve, and they are just few minutes away by speed-boat from our guest house.